If you want to post this pack somewhere, link to this page or use the above bit.do link. Logos count towards the nation of the league the clubs play in. This means that for example some Welsh clubs are counted as "English". Find your Football Manager folder. 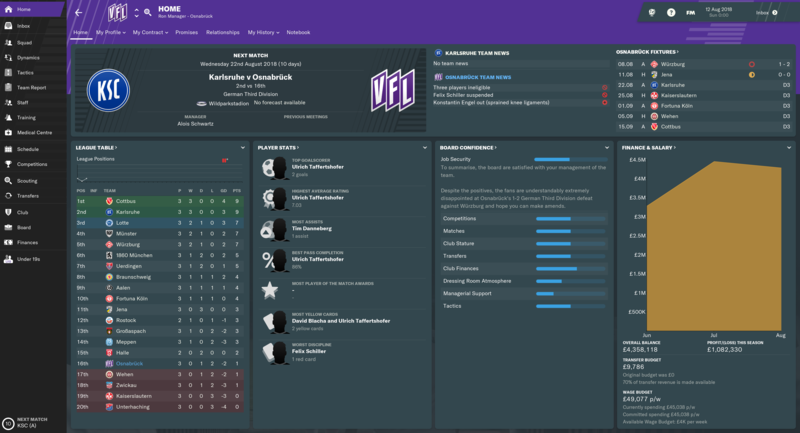 Its typical location is: Documents/Sports Interactive/Football Manager 2017. If it doesn't contain a folder called "graphics", create it: Documents/Sports Interactive/Football Manager 2017/graphics. Unpack the file you downloaded. It should contain a folder called "dvx-logos". Copy the folder "dvx-logos" into the "graphics" folder: Documents/Sports Interactive/Football Manager 2017/graphics/dvx-logos. Go to game Preferences > Interface, disable "Use caching to decrease page loading times" and enable "Reload skin when confirming changes in Preferences". After the skin has been reloaded, the new logos should be in use. Sometimes it may be necessary to clear the skin cache for the logos to appear. To do this go to Preferences > Interface and click"Clear Cache". Then reload the skin to make the logos appear. Remove letters "X" from near the beginning of the rows. "Xrecord" becomes "record". logo should now be shown in place of the primary Lecce logo. I'm happy you like them. The object is to make a logopack of great quality. I'm working on an update that will include custom flags and at least 2000 new club logos. I will release it at some point soon after SI have come out with their traditional January transfer update. DVX Logos v16.1 Update is live! The update includes flags for 235 countries, new logos for 2400 clubs and also some competition logos. Its worth mentioning that now all major and a few not so major Australian and American clubs have logos in DVX style. 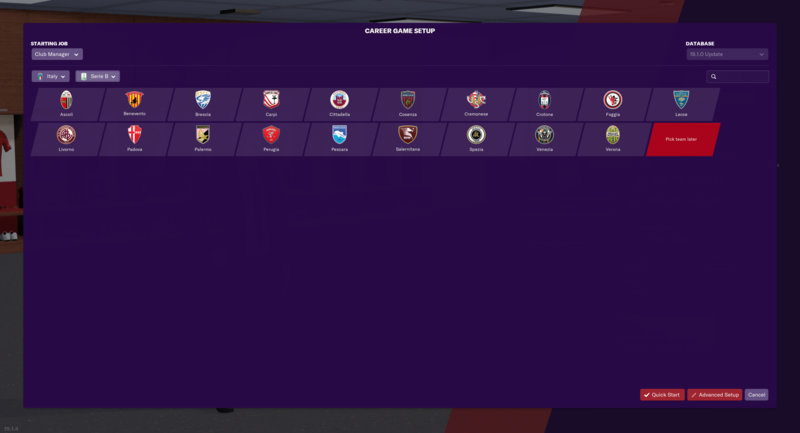 Italy has gone through a big overhaul, and with the update the pack contains badges for as many as 2037 Italian clubs. Update download link is in the first post. 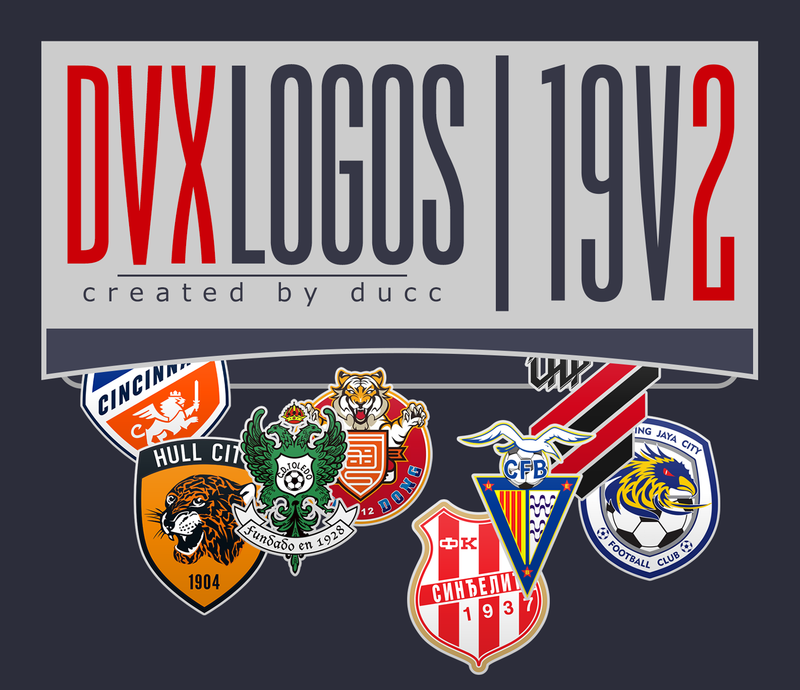 There will be a new DVX Logos pack for FM17. I have the Beta, and at a cursory glance it looks like the only thing different in regards to logos is that there are some new generic default logos. Unfortunately the FM16 Resource Archiver does not work on the new files, so there is no access to the default logos or anything else contained within archives. This is hands down my favorite logopack, and I have been through them all. I appreciate your attention for detail. 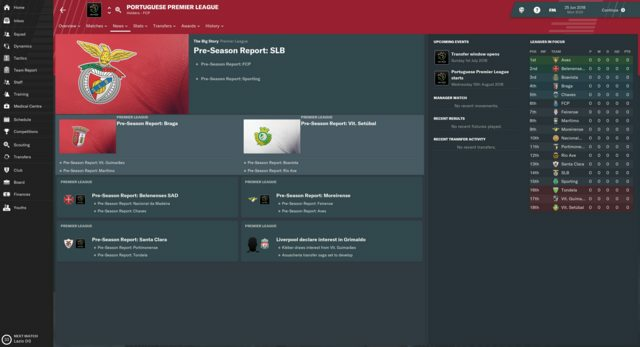 Can't wait for the FM17 pack to be released! Thanks for the commedation Svart Svane. ducc, I can't wait for you super high quality pack. I hope you will release it very very soon! Some work is still required to get the pack where I want it to be, but it should be ready within a week. 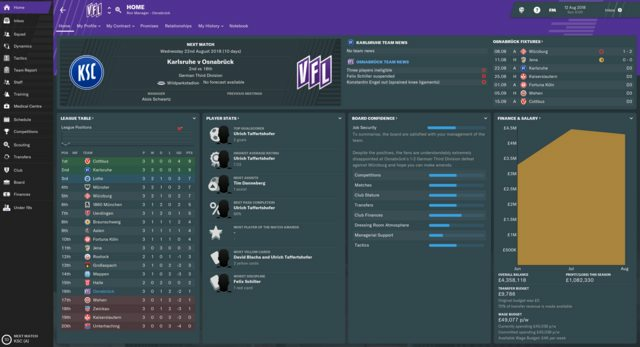 The new FM 2017 version of the logopack is now available for download! The first post has been updated accordingly. Ok thanks,do you plane to relase another version ? There will probably be an update, but its several months away unless something "urgent" requires fixing. Great work ducc.....top notch collection of logos you have here and brilliantly organised. Outstanding quality logos! Grazie mille ducc! Thanks DazS8. You are probably refering to the way the logos are named with ID, confederation and country. When the pack is organized like that, its possible to have only one config (one for normal and one for small logos) and still be able to view logos from just certain country or confederation in file explorer searches. Well spotted. The first thing on a new "to do" list. Can you upload it in a different server please. MegaSync is not work well with Mac. Any way you can get it to work sufficiently? Unfortunately my upload speed is rather slow. Hey ducc, are you planning an update of your logopack? There will be an update to the pack soon after SI have released their winter transfer update. Thank you for bringing those logos to my attention Ivs. Looks like they are current main logos of the respective clubs, so I think they should be added as replacements for the outdated primary logos in the pack. 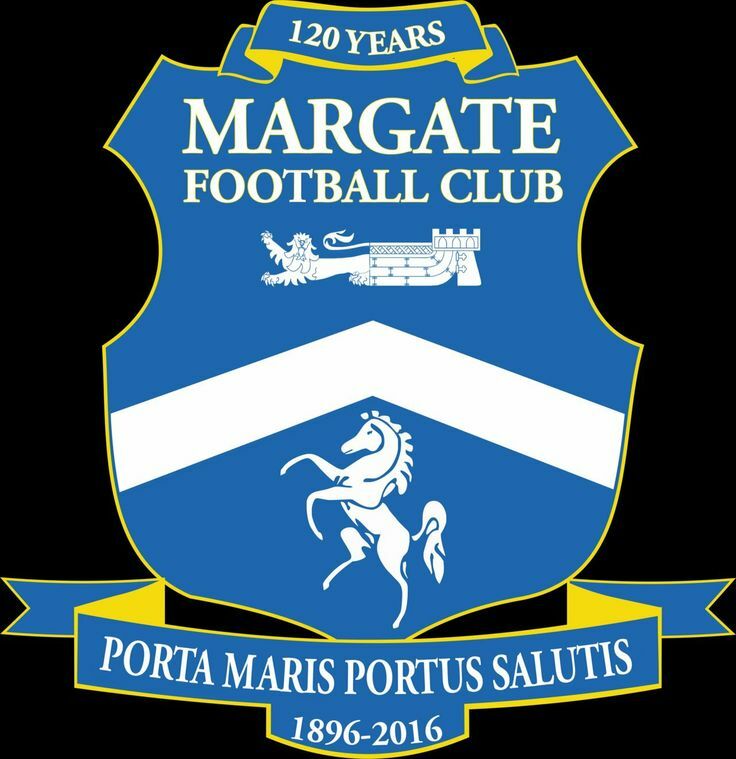 The Margate badge may be a temporary festive logo though. Glad to help you mate. Yep, Margate seems have adopted an anniversary badge at the start of the season. 17v2 Update is available for download. The update contains over 1400 new, updated or improved logos, including the new Atlético Madrid and Juventus logos, a set of Gibraltarian badges and the new German Bundesliga and Italian Serie D logos. Really nice job ducc. Thank you so much!